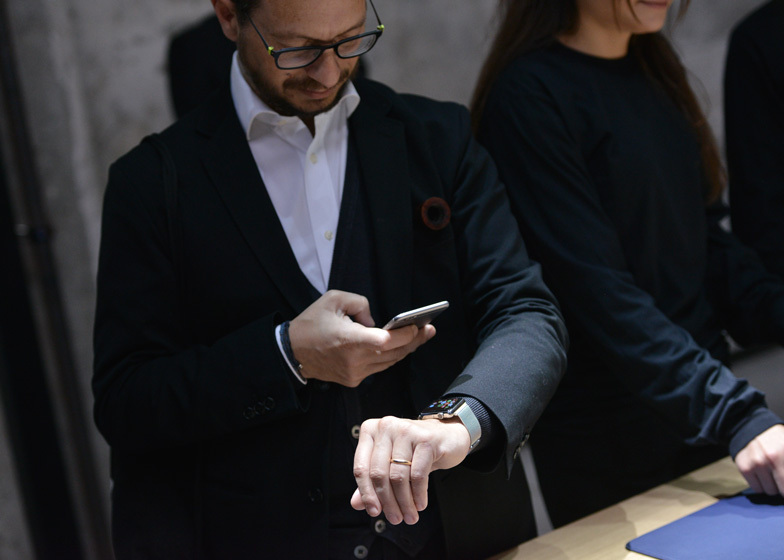 Milan 2015: Apple has presented its Apple Watch at a day-long event in Milan – the first time the brand has exhibited in the city during its annual furniture fair (+ slideshow). Apple installed a temporary showroom inside the Carlo e Camilla en Segheria restaurant, which is housed in a former saw mill in the south of the city, and built a minimal white entrance pavilion outside. 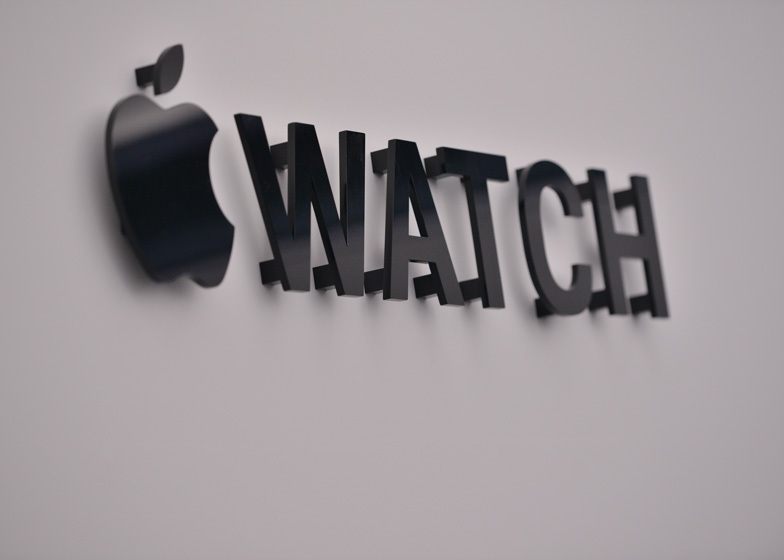 The show opened to the public from 10am to 8pm on Friday, with the watch displayed in glass-topped wooden tables with built-in LED lighting, anticipating the way the watch will be displayed in Apple Stores. 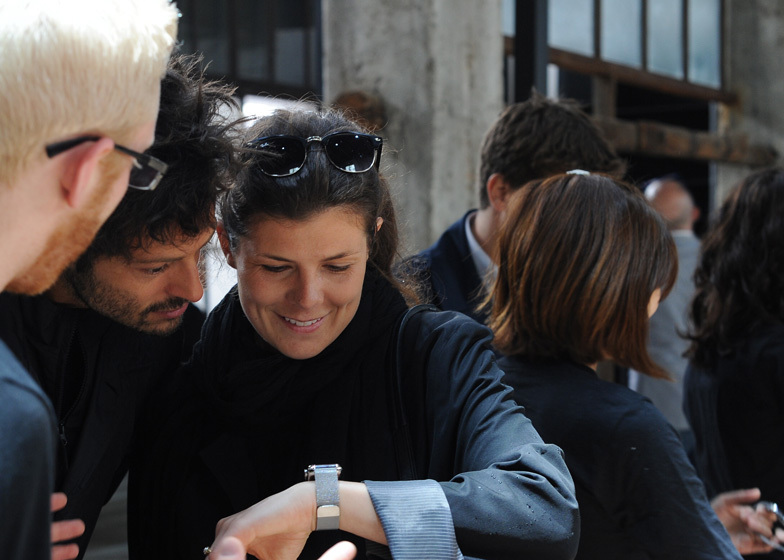 Jonathan Ive, Apple's senior vice president of design, explained why the brand had chosen to show the watch in Italy exactly one week before its launch on 24 April. "Salone del Mobile has such a deep-rooted history of embracing excellence in design so I'm particularly excited to celebrate our newest and most personal product, alongside our friends and fellow designers, at this special event," he said. The exhibition was built overnight on Thursday and taken down on Friday, allowing the restaurant to reopen on Saturday night. 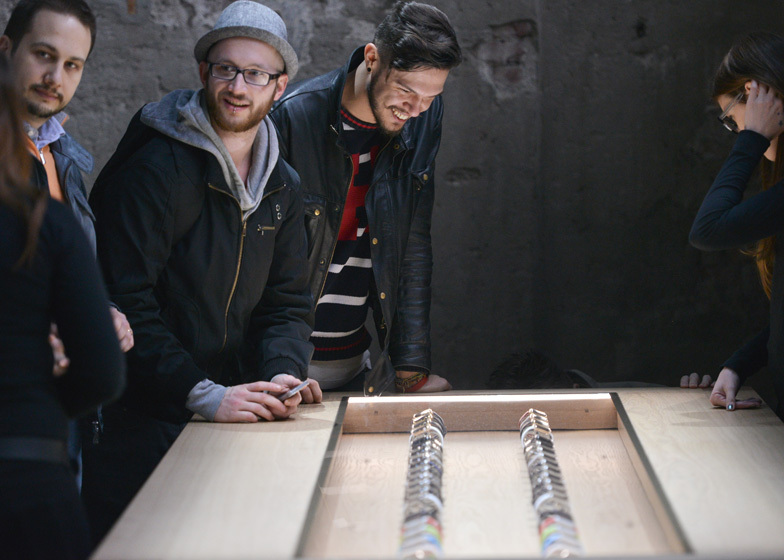 Visitors to the event were allowed to try on versions of the watch featuring the Milanese loop option - a woven stainless steel mesh strap invented in the Italian city. In the evening, as part of an apparent charm offensive aimed at the design world, Apple designers Jonathan Ive and Marc Newson - who recently joined Apple in a part-time role and is widely believed to have worked extensively on the watch - hosted a dinner at a separate location. The dinner was attended by leading designers including Patricia Urquiola, Konstantin Grcic, The Bouroullec brothers and Barber & Osgerby's Ed Barber and Jay Osgerby. Phil Schiller, Apple's senior vice president of worldwide marketing, was also there. Maurizio Stochetto of legendary Milanese watering hole Bar Basso served drinks to dinner guests, who were introduced to the product by Ive and Newson. Tanja Solci, owner of Carlo e Camilla en Segheria, said Apple representatives approached her six months ago about the project, but insisted on confidentiality. "I had to keep the secret since November," she told Dezeen. The media were only informed of the event on Tuesday. Solci described the event as "a big thing for our town" and said Apple had chosen the venue "because it is honestly raw". The restaurant's industrial interior has been retained and usually features minimal decor consisting of a single 30-metre table, chairs and chandeliers. 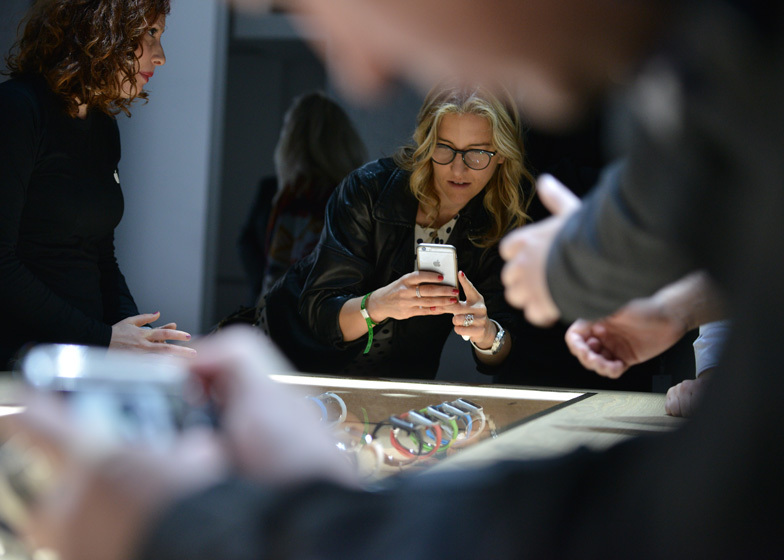 "The contrast between Segheria and the Apple brand is what I think is contemporary now," said Solci, who added that 200 people had worked through the night to get the presentation ready. "Nobody slept for 24 hours," she said. Photography is courtesy of Apple, unless otherwise stated.